In support of a project to build a new multi-use stadium near the Boise River, the Capital City Development Corporation in connection with the City of Boise has been weighing the creation of a fifth urban renewal district to help fund the project. In an April 6th document obtained by BoiseDev via a public records request, CCDC outlines five options for a new district within an are it is studying in the general vicinity of the proposed stadium. 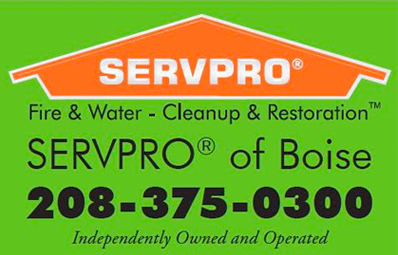 The largest proposed area pulls in the entire area the agency studied – which includes a large swath of land south of the Interstate 184 Connector, south of the river near Royal Blvd., and an area adjacent to Kathryn Albertson Park. This proposal would include removing chunks of two current CCDC districts – the “River-Myrtle/Old Boise” area and the “30th Street” area, as well as adding more land area not currently in an urban renewal district. This option is also said to be “politically sensitive” because it includes residential areas. The second plan outlined is the smallest area – it includes just 11 acres, which consists of the land that St. Luke’s Health System plans to sell for a stadium project as well as some right of way in the area. It would generate $92,644 in annual increment. CCDC says the pros of this plan would be low impact to the River-Myrtle funding picture. It lists cons as creating less flexibility and makes the district entirely dependent on the stadium project for its success. This grows the district size from option B, by adding parcels that are right next to the 11-acre stadium area. CCDC estimates it would crank out $149,130 in annual increment. The pros are said to be “low impact to existing (River-Myrtle area) and ability to continue assistance in the area pre-Stadium.” The report also says it would include few residential parcels. The cons are noted as continuing to have low flexibility in the future and being based highly on the stadium project. It also says it would limit CCDC’s ability to help improve roads and the Boise River Greenbelt. 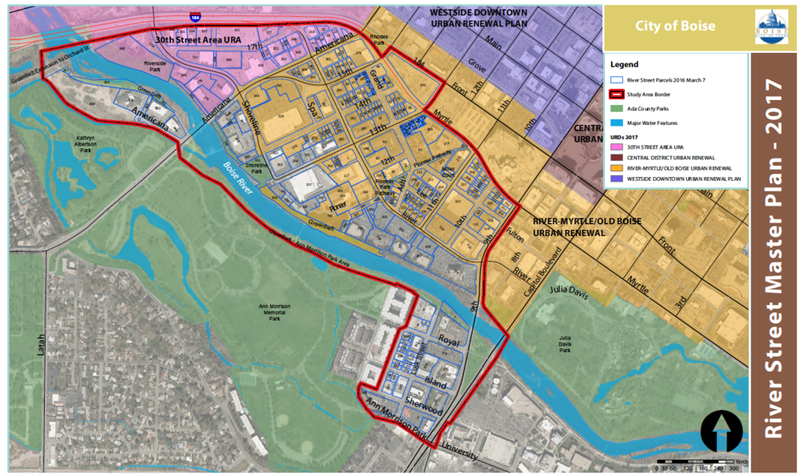 This idea again grows from option C, and throws in both sides of the riverbank that contain the Greenbelt, plus adding the office parks along the Boise River on River Street and a portion of the Lusk St. neighborhood south of the Boise River. Despite the significantly larger area, CCDC says this would only generate $20,000 more in funds from option C – a total of about $169,853. The plus side of this scenario according to the agency are similar to the option above, and adds the ability to decrease surface parking on River St., plus helping with plans for a future Library! expansion and the area near BSU. 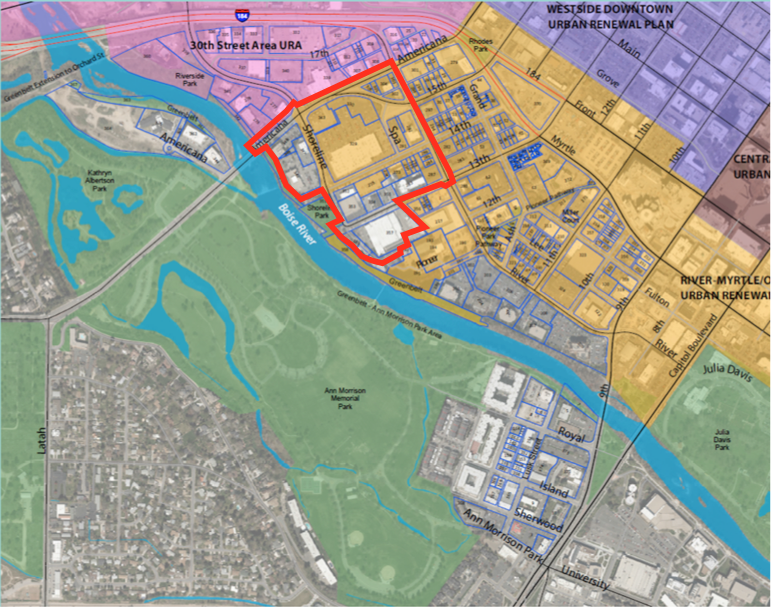 Boise State is also listed as a con of this option – and “unclear whether Lusk District needs (urban renewal). The final option builds on option D, but adds chunks of land across Americana on both sides of the Boise River. This concept would generate a total of $276,950 in estimated increment funds. The pros and cons here are similar to option D.
In a February document, CCDC said it would present an initial plan for the district during its April 6th meeting. 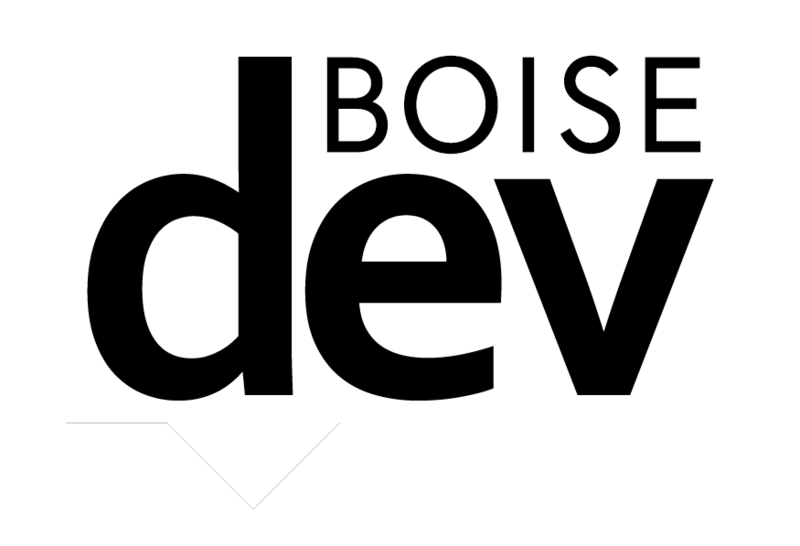 BoiseDev attended that meeting and the plans were not submitted – which would likely impact the rest of the timeline document. 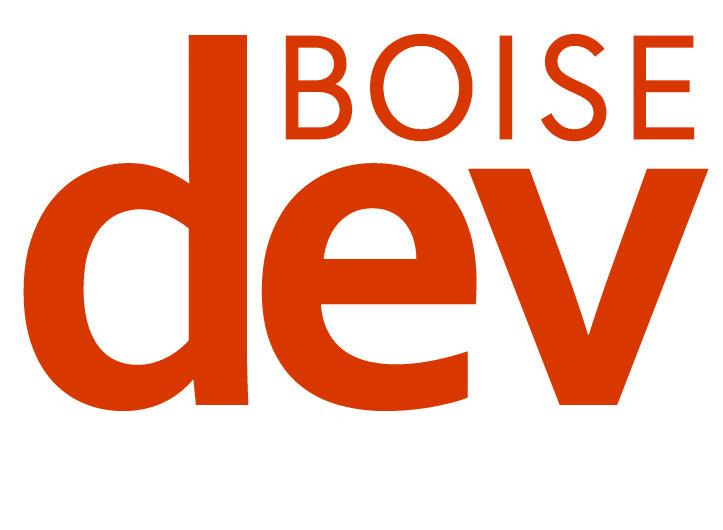 It initially noted a target date of June 6th for approval by Boise City Council.